Routinely going through daily life, people may be inured to the fact that Earth takes up only a small fraction of a solar system, let alone the universe. Still, the planet we call home is unique for a number of reasons. The more we can learn about Earth and its Moon-the two bodies in the solar system of which the most has been discovered to date-the more likely scientists are to uncover truths abo… ut the universe as a whole. 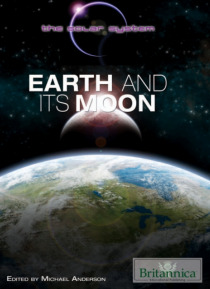 The properties, motions, and cycles that characterize the Earth and Moon are the subjects of this mesmerizing volume, supported with details, sidebars, and labeled illustrations that any earthling would love.